Sportsbetting.ag Poker Review - Is This Poker Room Worth Your Time? Americans and others around the globe who are looking to play poker have a solid option available in the form of Sportsbetting.ag. As its name might imply, this site is mainly an internet bookmaker, but it does also offer plenty of poker games as well. Whether you like poker tournaments or cash games, Texas Hold’em poker or some other format, you’ll find what you seek in spades (and hearts, clubs, diamonds as well) at this online poker room. Sportsbetting.ag is part of the Chico Poker Network along with its partner site BetOnline, and they both serve players from the U.S. and many other countries around the world. Chico has grown over the past couple of years until it’s now the third-largest destination, by traffic numbers, that’s accessible to poker players from the United States. There are no authorized percentage-based Sportsbetting.ag rakeback deals available anywhere on the internet, but what you’ll get instead is a sweet 100% match on your first deposit up to a maximum amount of $1,000. With this bonus, whether you win or lose at the tables, you’ll be able to augment your bankroll nicely. Every site that allows you to play poker online has its own unique wrinkles when it comes to the welcome bonus, so it’s prudent to go over them now to help you avoid making any mistakes. After you make your initial deposit, which must be between $50 and $1,000, you’ll have to send an email to poker[at]sportsbetting.ag to request that your bonus be issued. Include your username in the text of your email. Your bonus will be credited to your account within 48 hours, and the amount of free money you’ll get will be identical to the sum you deposited. The 30-day bonus period will start at this time, so you’ll have the next months to unlock your complimentary money in $10 portions by gathering 5,000 comp points to earn out each segment of the bonus. In ring games, every cent you pay toward the rake will reward you with one comp point. In poker tournaments, the tourney fee will be rounded down to the nearest whole dollar, and you’ll receive 100 points for every dollar of the fee. This effectively means that MTTs with fees of less than $1 won’t be of any use for the purpose of clearing your bonus. In cash games, you’ll get 20% of your rake back while the returns from MTT and SNG play might be less depending on the exact buyins of the poker tournaments you engage in. There’s one other extra that you’ll get with your first deposit: a ticket to a $10,000 tournament. This New Player Freeroll takes place the second Sunday of each month at 5 p.m. ET, and your entry will be placed into your account within 72 hours after the start of the month following the one in which you deposited. To learn how to make a new SB.ag account, watch the above video. Or read below for instructions in text form. STEP 1: Please clear cookies in your web-browser before clicking either signup link below. Clearing cookies is mandatory in order to be eligible for Professional Rakeback's $1,000 Sportsbetting.ag poker deposit bonus. STEP 3: : Click the SportsBetting logo below, or click the text link provided below the logo. NOTE: If you use ad blocking software, the logo below may not be visible. Try clicking the text sign up link instead! STEP 4: Click "Play Now" button to begin software download and account creation process. STEP 5: Fill out account information. STEP 7: (optional) Skype or Email us your username and registered email address so that we can confirm your account is properly set up. STEP 8: Log into the poker software with your Username and Password. Upon logging in the first time you will create your poker table alias (table name). OPTIONS & OTHER NOTES: There is only one native heads up display that works on SportsbettingAG. That HUD is Holdem Indicator. It also happens to work with virtually every single US-friendly site as well as most non-US sites as well. The Holdem Indicator package has been upgraded to be compatible with fast-fold Boost games at SB.ag. We have a detailed review of Holdem Indicator that you can read about on our updated poker software review page. If you want to skip right ahead to the good stuff, you can purchase Holdem Indicator at a 10% discount which is exclusively offered by Professional Rakeback for our loyal customers. ** For best results when attempting to deposit or withdraw via an internet browser, choose Internet Explorer. *** Please note, they will call you immediately after you create your account to help you make an initial deposit, you do not need to deposit immediately if you are not ready yet. If you have taken advantage of our BOL or SBag offers and created an account, please consider sharing that fact with your friends. We would be happy to have them as customers as well! Poker is just one of the types of gambling that you can look forward to when you register your new Sportsbetting.ag account. This reputable bookmaker will award you 50% up to $1,000 on your opening deposit to use for making sports wagers along with 100% up to $1,000 to try out the casino. The methods that have an asterisk (*) next to them require that you contact support for assistance and directions on how to deposit via that option. Overall, we feel that Skrill is best if it’s available to you; otherwise, depositing through Bitcoin, Litecoin, Ethereum, Dash, or Bitcoin Cash should work well for most people. Credit cards are a decent choice as well. Whatever payment solution you wind up selecting, remember that your deposit must be between $50 and $1,000 for you to collect the 100% up to $1,000 first deposit bonus. You’ll notice that there are fees attached to some of these forms of payouts. Fortunately, every customer can get the fee reduced by $50 once per month on a Friday. This basically makes almost every method of withdrawing free as long as you time your requests appropriately. The software suite employed by Sportsbetting.ag for its poker room was developed by Connective Games. The full desktop client is offered for download to both PC and Mac users. In April 2017, the Chico Poker Network launched its mobile poker software, available as an app for Android and in-browser for iOS devices. At that time, we reviewed all aspects of the Sportsbetting.ag mobile poker client. In short, we found it to be excellent, containing almost all games present in the regular desktop version of the client. 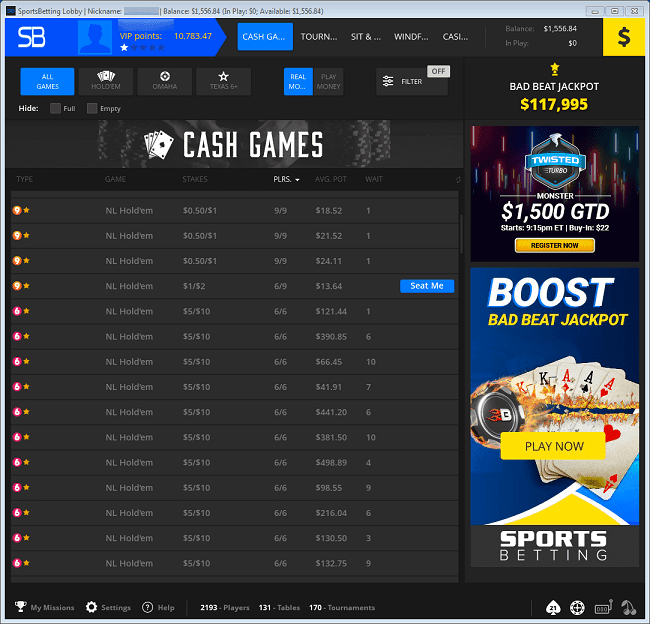 After releasing the mobile poker solution, SB.ag next debuted a web-based poker interface. You can log into it and take a seat using pretty much any modern web browser. No Limit Texas Hold’em poker is probably what you want to see, and you won’t be disappointed at Sportsbetting.ag. Stakes run from $0.05/$0.10 up to $10/$20, and there’s usually a game or two running at even the highest stakes although, understandably, the micro-stakes tables account for the bulk of the action. If you’re a PLO Hi or PLO/8 fan, then this site has what you crave too because big bet Omaha games run from $0.05/$0.10 to $5/$10. There aren’t as many games running in four-card poker as there are of Hold’em, but there’s nevertheless a vibrant Omaha scene. Next we come to Limit Texas Hold’em and Limit Omaha/8, which are unfortunately virtually deserted. It's only possible to play at up to eight ring game tables at a time. If you attempt to launch more than this, you'll get an error message. There’s quite a range of buyins present in the SNG lobby. You can enter contests as cheap as $1.50 or as expensive as $215. Whatever level you choose, it probably won’t be too long before enough people enter to make the tourney start. In December 2017, Sportsbetting.AG introduced Windfall Poker, which adds a random twist to the traditional sit n' go formula. In Windfall, the system chooses a number between 2 and 2,000, and that's how many buyins the prize pool contains. Windfall is a three-person contest. The poker tournament schedule at this card room is weighted heavily toward the lower end of the price scale. Guaranteed events start as low as $1.10 and go as high as the weekly Sunday Major $75,000 Gtd, which costs $100 + $9 to enter. On the last Sunday of each month, this is replaced by a tournament that guarantees $100,000 instead. Recently, Sportsbetting.ag added Omaha and Omaha/8 tourneys to the normal daily MTT schedule, which had hitherto been NLHE-only. PLO and PLO/8 are offered at buyins between $2.20 and $22. While the initial deposit bonus attracts newcomers to Sportsbetting.ag, management understands the need to keep existing players satisfied. This is why the site offers a full rotation of promotional specials that are designed to put some additional cash into your pocket over time no matter what type of poker games you enjoy. Sit-n-goers get to participate in weekly leaderboards, and they use a classification system divided into four game varieties: HU Regular/Turbo Speed, HU Hypers, 6-max Hypers, and 9- and 6-player Regulars and Turbos. The total prizes are $5,275, split up among the top five players in each category, or 20 in all. Each comp point you collect in SNGs grants you leaderboard points, so it's your total volume, not your results, that matter. In ring games, there’s $1,100 awarded every day in the Daily Race. The categories are determined by blind level, starting at $0.05/$0.10 and proceeding through $0.10/$0.25, $0.25/$0.50, $0.50/$1.00 and $1/$2. 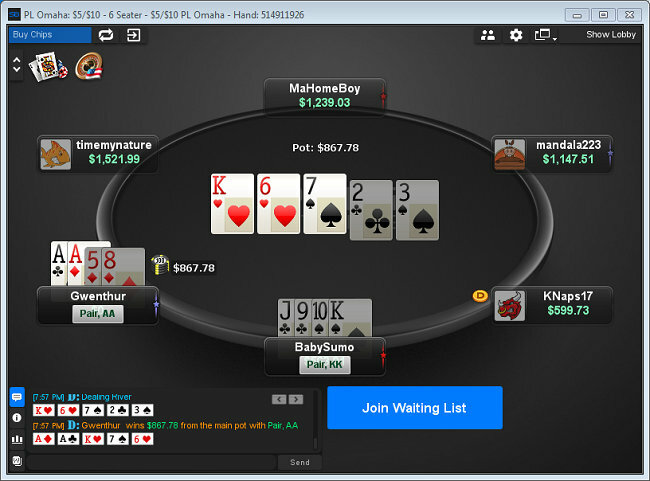 Tables of $2/$5 and above combine together to form a sixth leaderboard. It's the number of raked hands you play that counts here, and the top three individuals in each division win prizes. In total, 18 people score complimentary cash each day in the Cash Daily Race. You can trade in your comp points for tournament entries for 5.7% cash back on your rake. Only specific events allow you to buy in in this manner, and you can see if comp points are a valid for a given tournament by clicking on “Register” and reading the information presented. If you play on the Bad Beat Jackpot tables at Sportsbetting.ag and suffer a massive cooler, your bad luck might turn into a six-figure payday instead. The Bad Beat Jackpot pays out for every hand of quad jacks or better than goes to showdown and loses assuming that at least four players received cards in the hand and both players used both their hole cards at showdown. 20 percent of the jackpot will go to whoever held the losing hand, and whoever won the hand will get 12.5%. The rest of the table will divvy up another 12.5%, and a further 12.5% will be split up among everyone sitting at any other BBJ table. A new jackpot will then be created with 30% of the fund, and 12.5% will be retained by the site as administrative fees. The way this jackpot grows in the first place is that $0.10 of extra rake is taken for every $4 in the middle during any hand at the clearly marked Bad Beat Jackpot tables, and the maximum Bad Beat contribution for any single hand is $0.50. If you decide to avoid paying this extra rake, then simply sit at the tables that aren’t listed with a star before their name. The largest Bad Beat Jackpot to pay out on the Chico Poker Network occurred Jan. 7, 2018 when user “Tyrant” won $273,382.82 at a $1/$2 table. Even at the best-run companies, unforeseen circumstances sometimes develop. Whenever you have a problem or concern at Sportsbetting.ag, you can easily get ahold of support personnel. Simply call the toll-free number, 1-888-843-9027, or click on the Live Chat link on the website. You can also direct your queries through email to cs[at]sportsbetting.ag for general topics or poker[at]sportsbetting.ag for specifically poker-related issues. He knew what we were talking about and advised us that he was adding the bonus to our account manually. 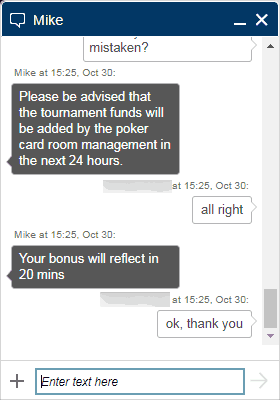 He also informed us that poker management would be crediting us our tournament money within 24 hours. Although we would have preferred if the automatic SB.ag promo code worked as intended without any intervention required, we appreciate the fact that Mike was able to make good on the site's promises. The good news for Americans is that Sportsbetting.ag accepts players from all 50 states, a rarity in the online poker world. However, players from several countries cannot play here: Australia, France, Panama, Ghana, Indonesia, Macedonia, Morocco, Nigeria, Montenegro.